The tomato is a wonderfully versatile plant that repays any care and attention it is given. 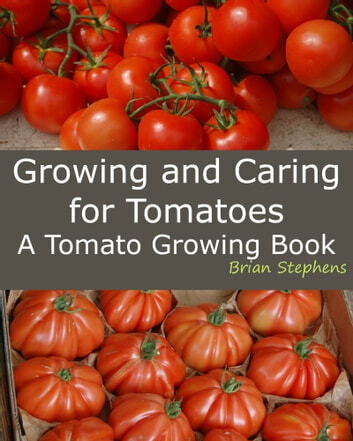 Following the simple but important guidelines in this book and by adopting the tips and tricks described for caring for tomatoes, you should ensure you can grow and enjoy a splendid crop of tomatoes, even as an absolute beginner. 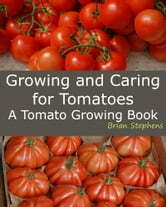 Whether you plan to grow tomatoes in your garden, in a greenhouse, or in pots on the patio, this book will guide you through the complete growing process using suggestions handed down through the generations from father to son. The tomatoes that result should be wholesome, healthy and taste better than almost any mass-produced one. The varieties of tomato you grow at home can be diversified and adjusted to suit your need for a tastier tomato. Unlike the store bought tomatoes, the emphasis is on how good they taste, how fresh they are and how you want to eat them. There is no need to worry about shelf life or transportation damage, or a need to sacrifice taste to ensure they look pristine on the supermarket shelves after their journey. The only journey your tomatoes will need to take is from the garden to the kitchen. And lets face it there is no better tasting tomato than one that is picked from the vine and on your plate in a matter of minutes. Hopefully you will agree its a comprehensive guide to growing tomatoes that will potentially be your point of reference for years to come. Make sure you enjoy eating your tomatoes, homegrown, straight from your own garden. Included are photographs, interesting facts and references to numerous sources of information for additional reading. Excellent value as a dedicated ebook work of reference.